For my oversea's readers, Taupo (Town) is in the centre of the North Island of New Zealand. 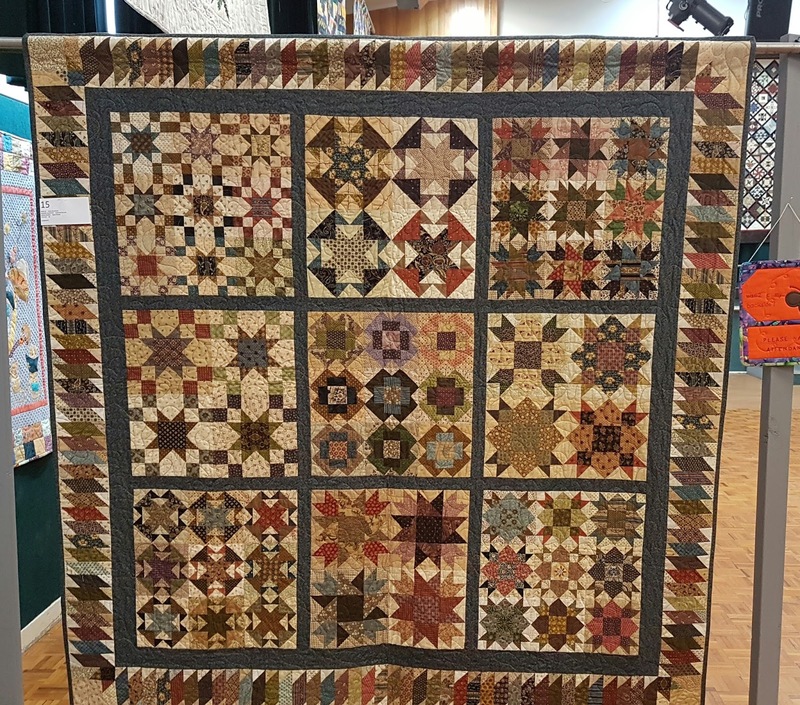 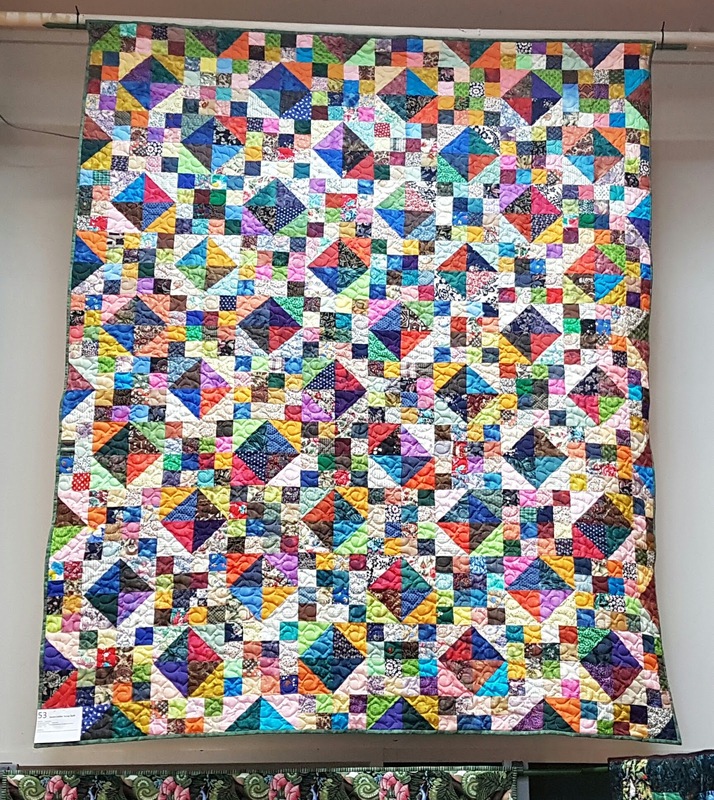 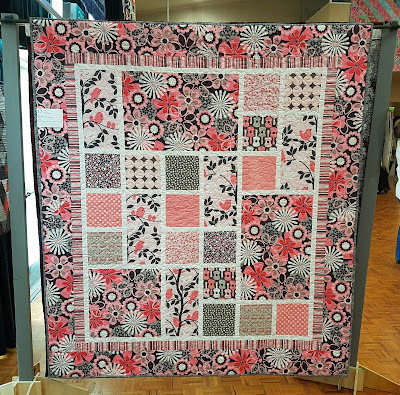 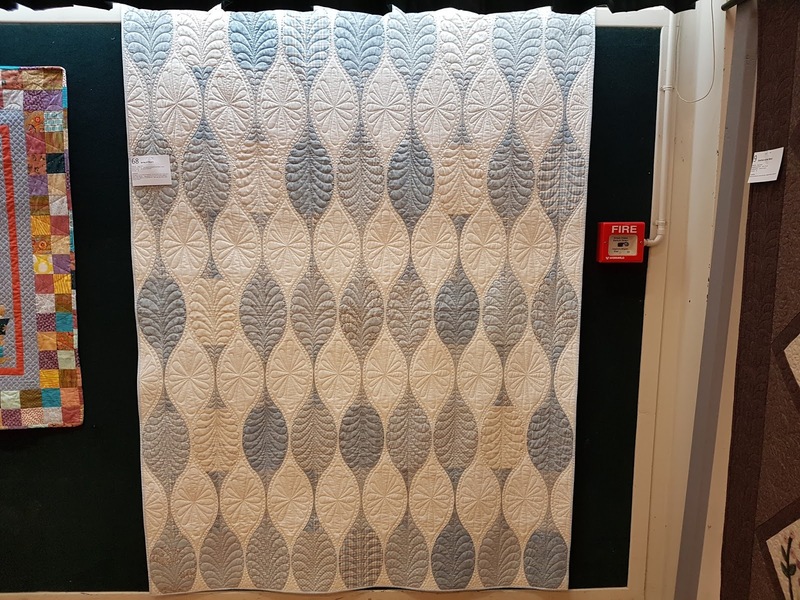 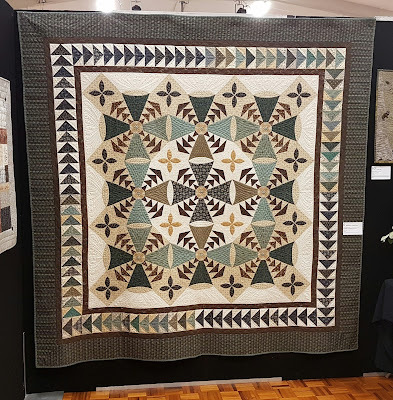 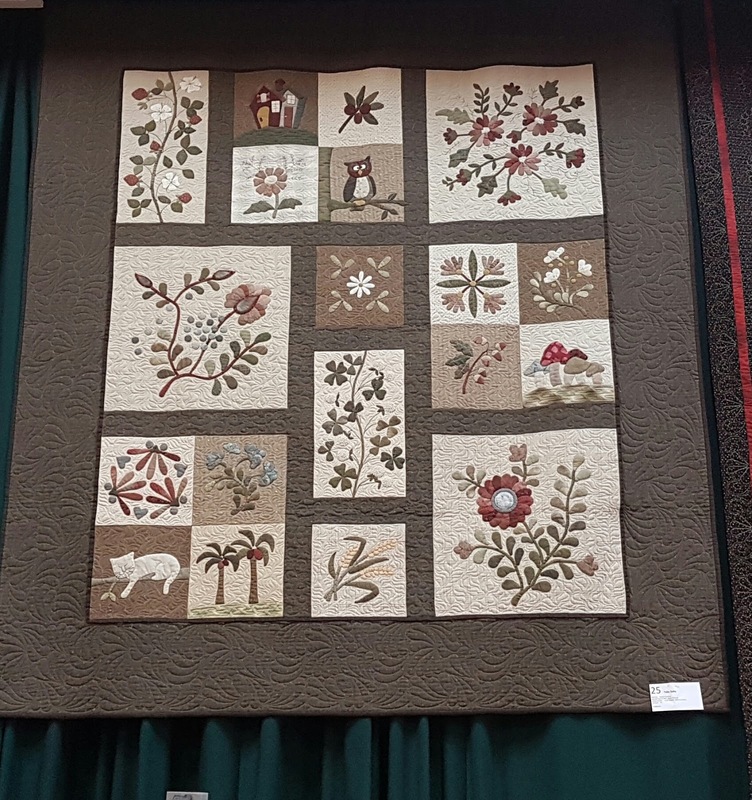 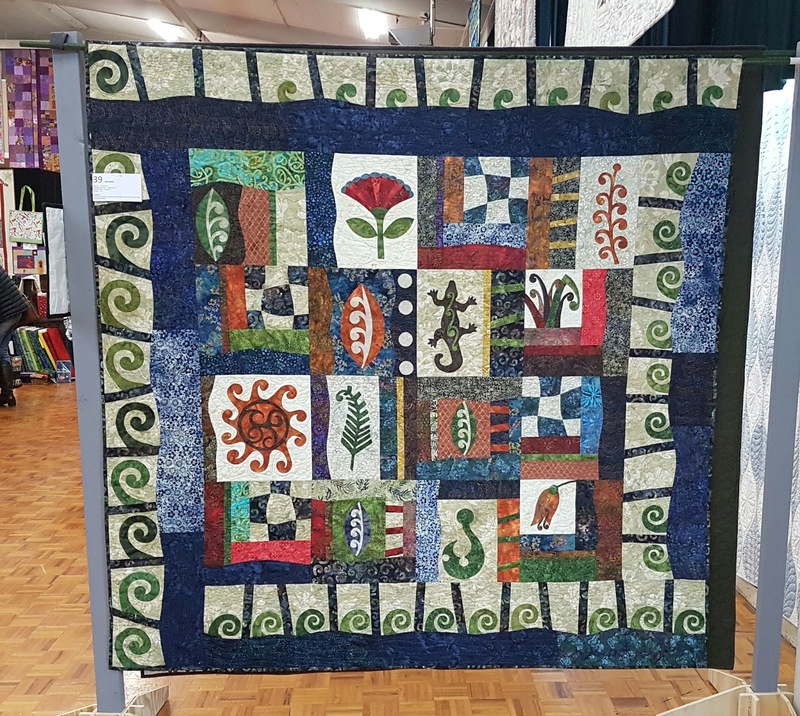 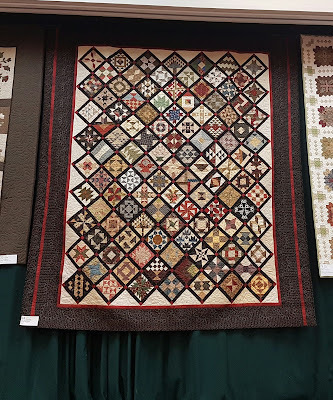 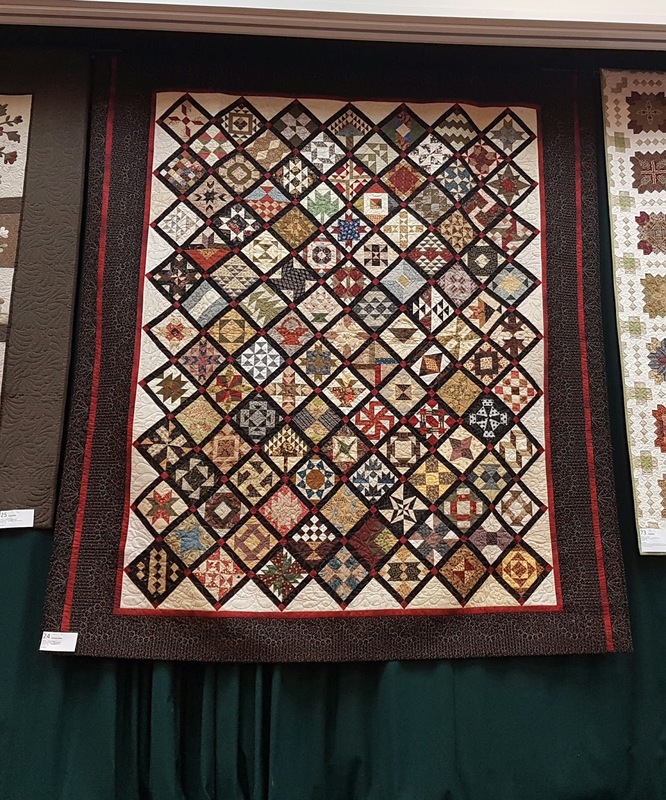 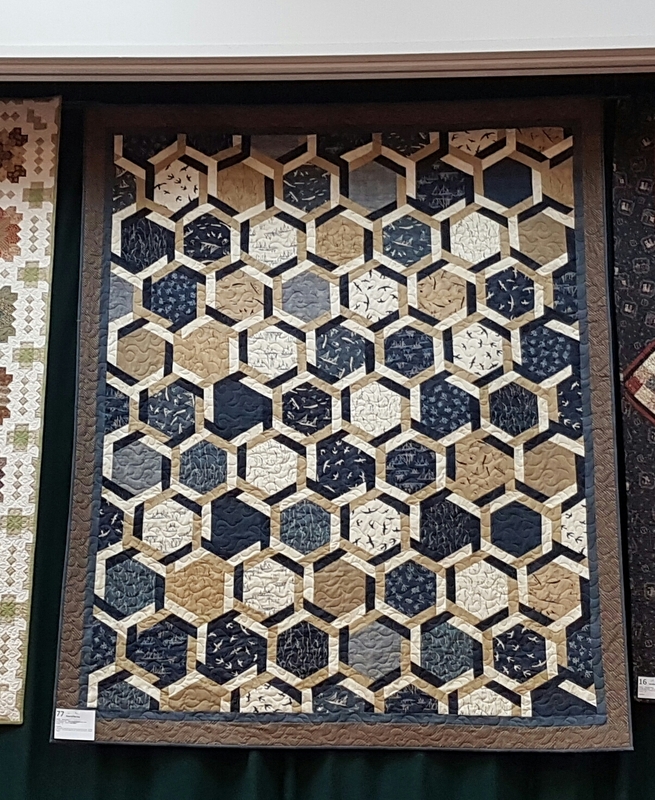 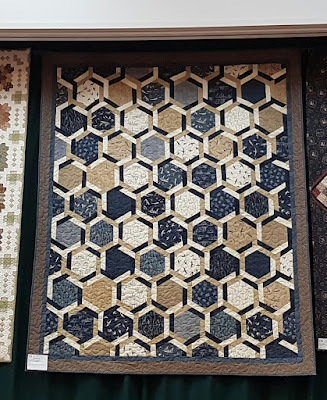 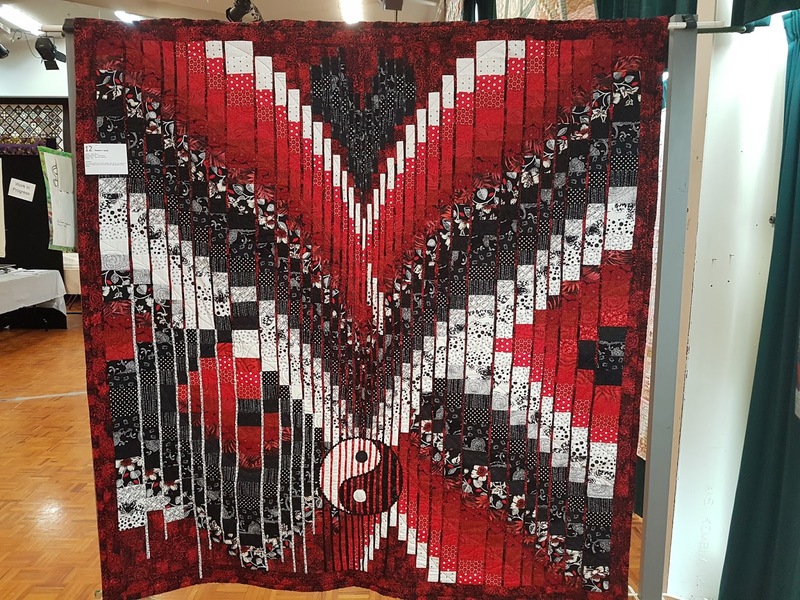 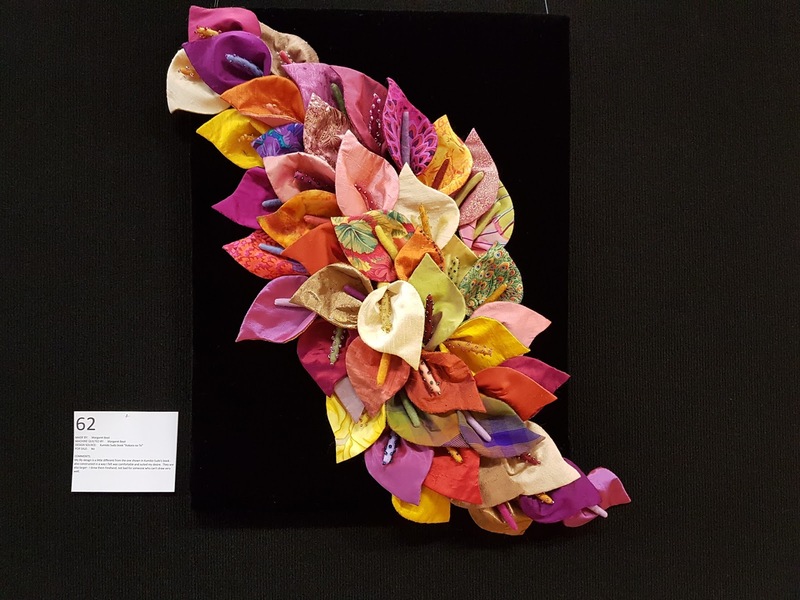 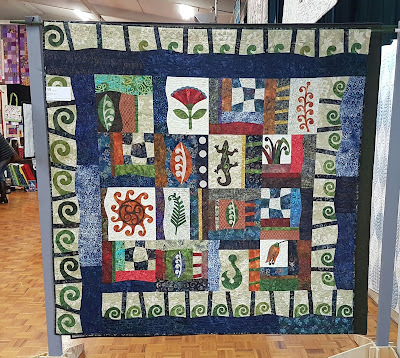 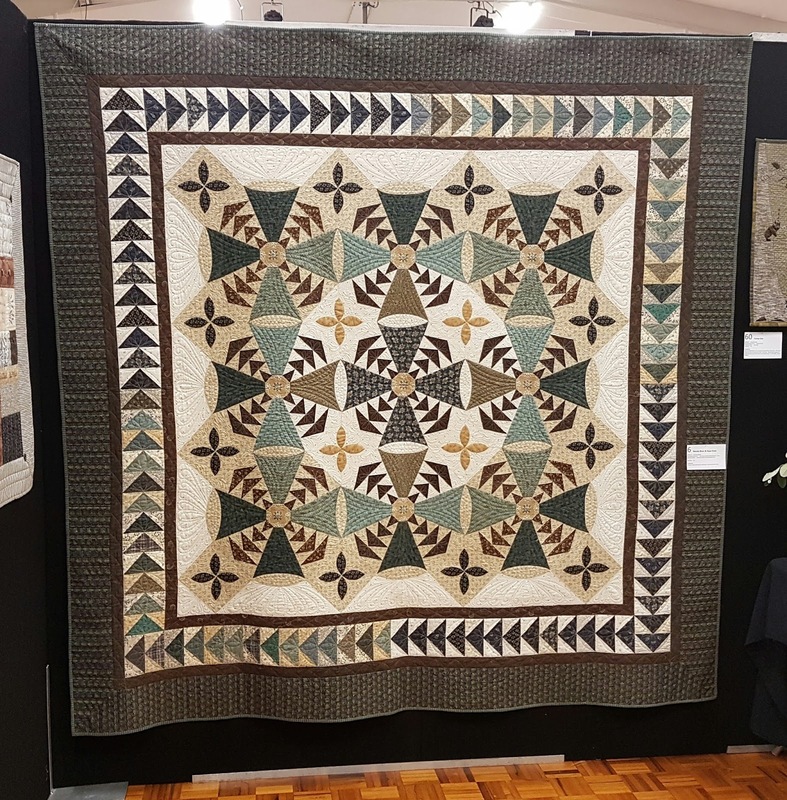 Taupo Quiltmakers held their bia-annual exhibition at the beginning of this month. It was a great honour to be invited as guest exhibitor, to judge their challenge and to speak at their club evening. Here are a few of my photos from their exhibition. I was impressed with the amount of hand quilting and hand applique work. 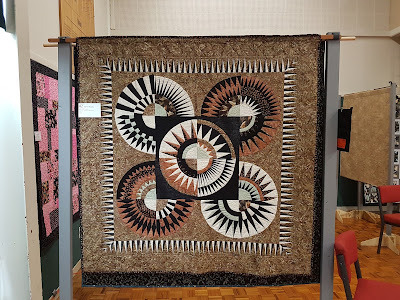 As this quilt was so high up I was unable to read the quilt name made by Yoko Saito. 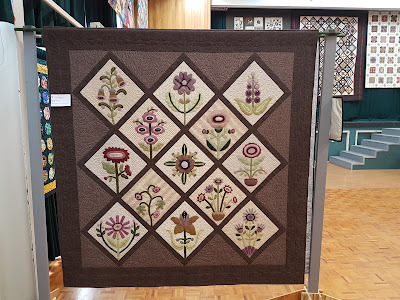 The applique and quilting on this quilt was beautiful. 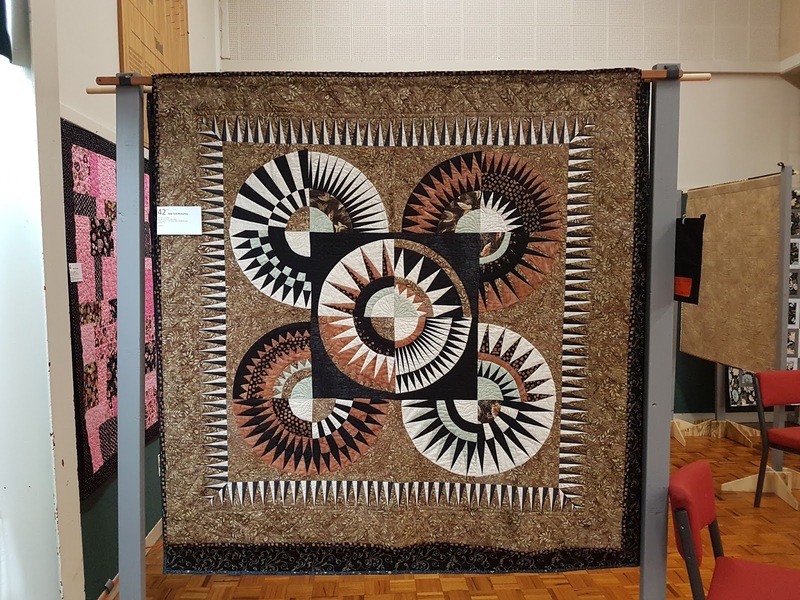 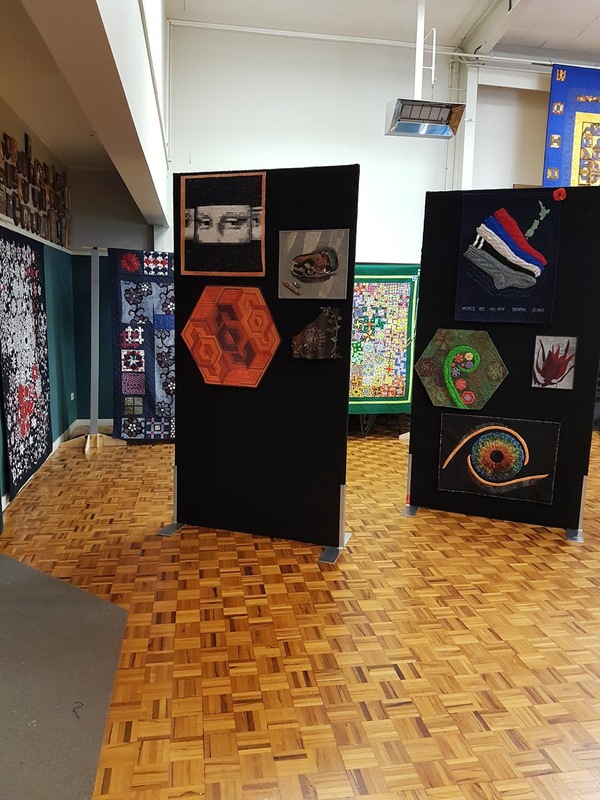 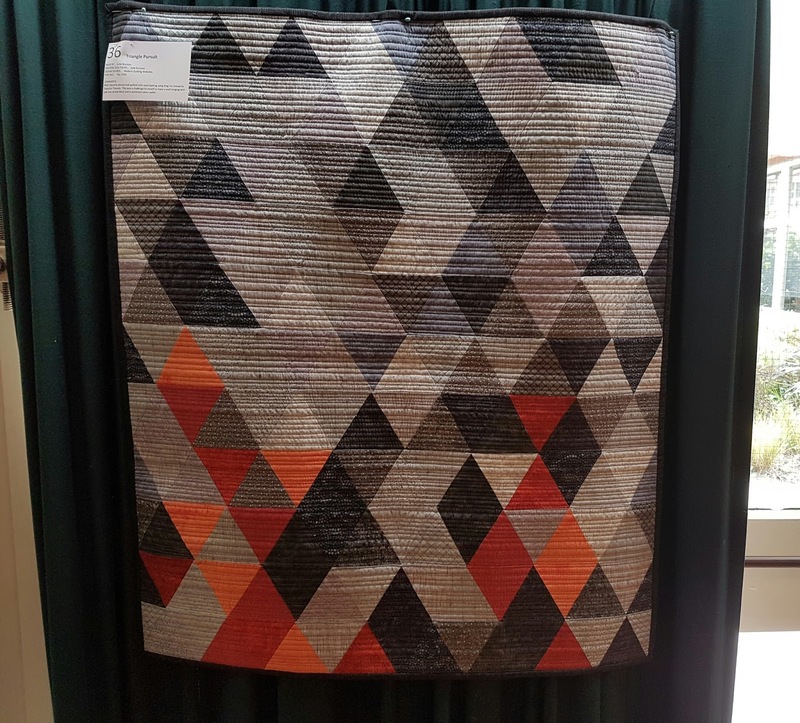 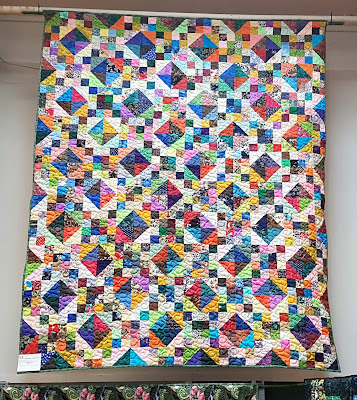 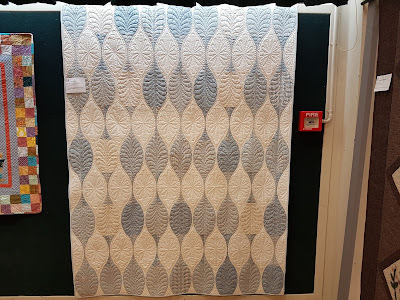 My quilts exhibited at Taupo Quiltmakers Exhibition. 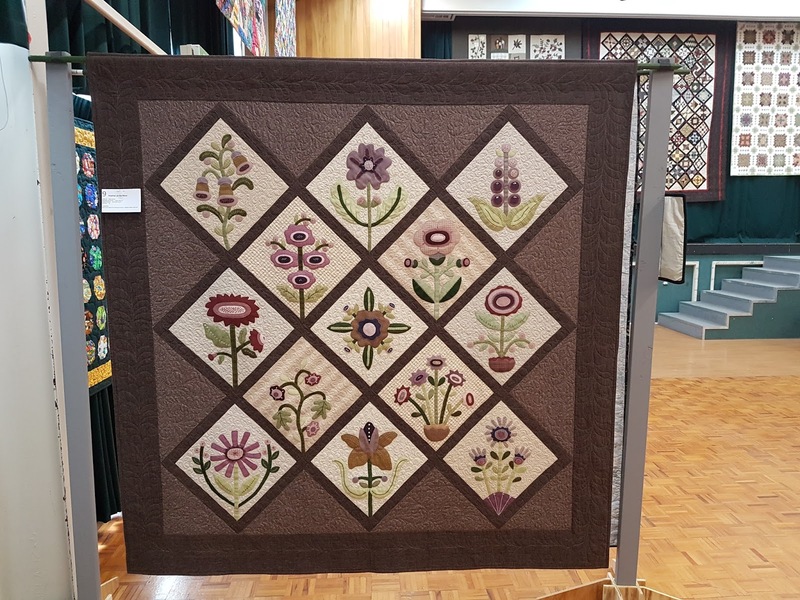 Once again a big thank you to Christine Beavis and the Taupo Quiltmakers for making me feel so welcome and looking after me.